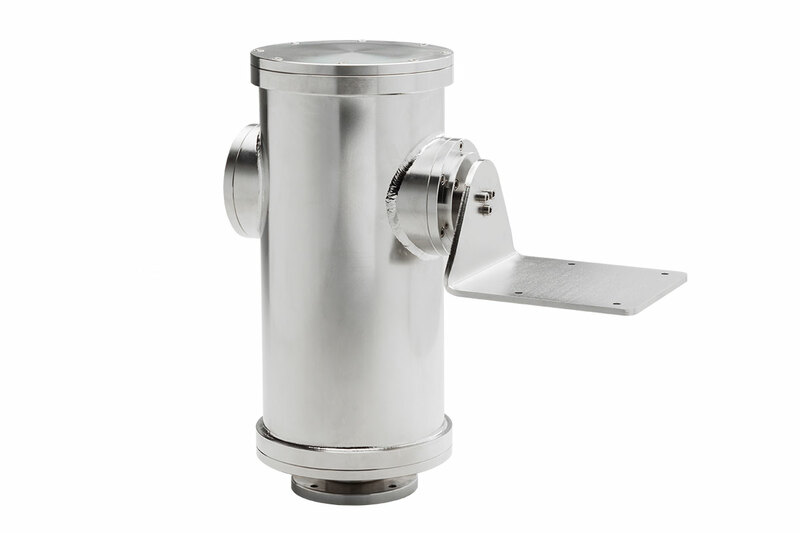 The EXPT Series is a reliable stand-alone Pan & Tilt unit specifically designed for Hazardous Area applications, especially for Offshore, Marine, Heavy and Food Industry and for every situation where corrosive agents may quickly damage standard aluminum-steel units. 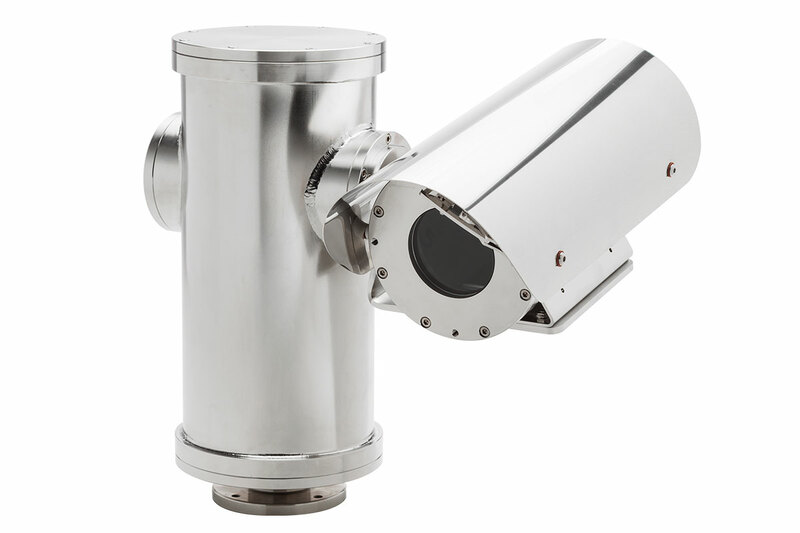 The EXPT Pan & Tilt Unit is made up of a AISI316L stainless steel cylindrical body with three end covers. Inside the cylindrical body, the Pan and Tilt Drive Motors are integrated with control and interconnection PCB. Suitable for third party camera housings.